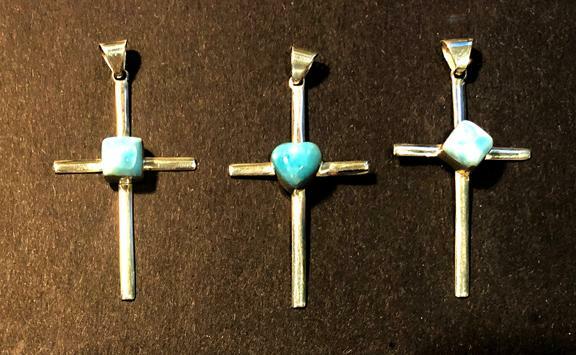 Silver and Larimar Crosses: When I was in Santo Domingo this past February, I bought silver and Larimar crosses to use as a fundraiser for our 2019 scholarship fund. We have 5 crosses – 3 with heart-shaped stones, 1 diamond shape and 1 square-shaped. They are 2” tall by 1” wide. If you make a $100 donation to the Christ Episcopal Fund Mission Fund, we will give you the one of your choice – first come, first served. We plan to advertise them to the congregation in the Friday bulletin on March 29, so call or email today to reserve yours. If they are not taken by May 3 rd , they will be for sale at the DR Auction. Selling Tickets for the DR Dinner and Auction: On Sunday, March 31, tickets for the May 3 DR dinner and auction will be on sale in the parish hall after the 10 a.m. service. We have sold about 50 tickets so far. Ticket sales for this May 3 event are going a bit slowly, so please help by spreading the word and encouraging others to attend and help support scholarships and project costs. If you would like to donate one or more items to the auction, please let Julia know at < juliacariail@gmail.com >. For photographs from the 2018 dinner and auction, click here . Team Fee (Approximately $650) Due April 30: We have not yet received firm cost quotations from the mission team support office in Santo Domingo. Unless there has been a significant cost increase, we expect that the 2019 fee will be the same as last year, or $650. We'll send out another message with the exact amount just as soon as we receive the report back from Santo Domingo. We need to send our payment for those items to the diocesan office on May 3 to make sure the funds arrive at the Campamento at least one month before our arrival on June 17.